I grew up drinking Alaska and my son also drinks it. I think its safe to say that a lot of us grew up drinking Alaska milk and if not, using products with this brand. It's just a staple thing in the homes of Filipinos. This is probably why Royal Friesland Campina decided to team up with Alaska and introduce Friso and FrisoMum to the Philippines. FrieslandCampina is a Dutch dairy cooperative composed of thousands of farmers in the Netherlands which has roots that go back to 1879 and they've been gearing to expand their business for a long time and this move to acquire Alaska in the Philippines was not a spur of the moment but something that was sealed after years of analysis and cheking. They have high regards as to how Alaska is perceived in the lives of Filipinos. 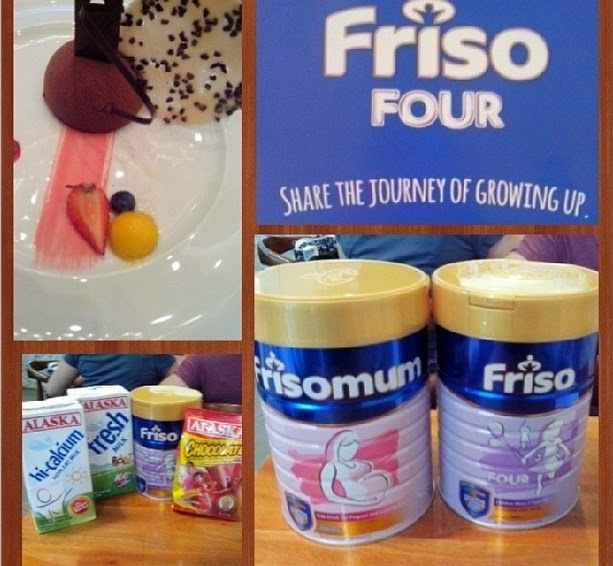 FrisoMum and Friso is a milk that helps aiding in digestion an ensuring that both the Mom and child get enough nutrients to ensure that both Mother and child will thrive and become healthy. Tifany Santuyo, a nutrition consultant for Alaska corporation explained how in the Philippines, we are still not up to par in providing the right nutrients to our Mothers and babies. Dr. Anne Schaafsma explained to us the importance of protein and how nutrients can be absorbed by the body. He also took time talking about protein denaturation and how it happens. There are a lot of factors why there are problems in digestion with children and one of the major factors why it happens is glycation. It's when proteins combine with carbohydrates happens, resolving this would just take mild processing which makes it digested better and properly.